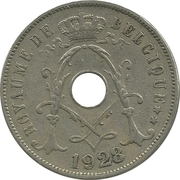 The royal monogram of King Albert I is surrounded with lettering in French. Date below. 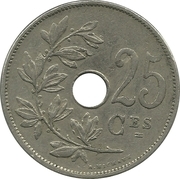 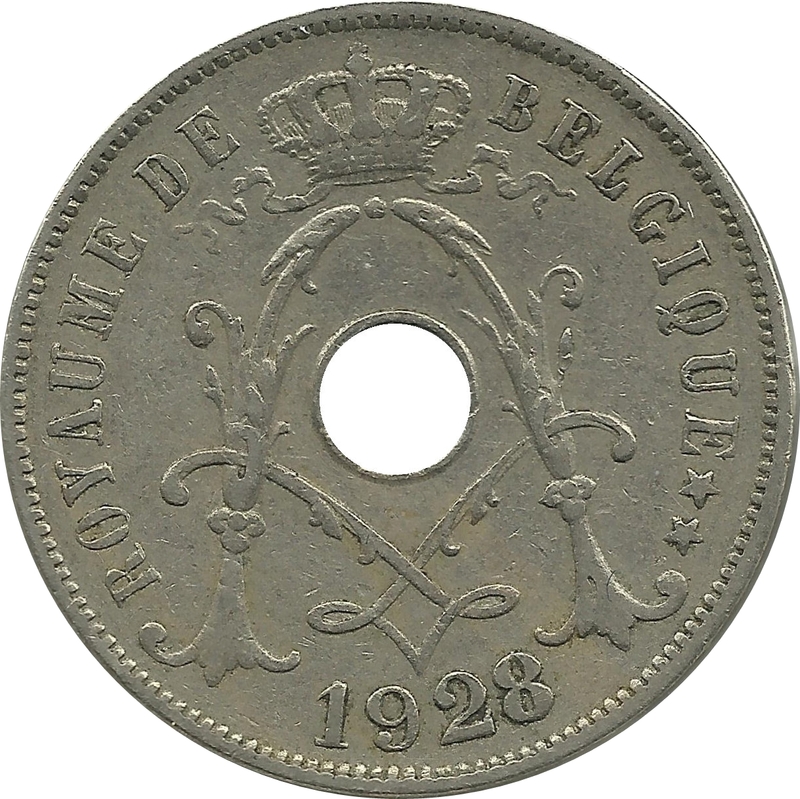 The coins mentioned below with a single line below ES are not mentioned in Morin.